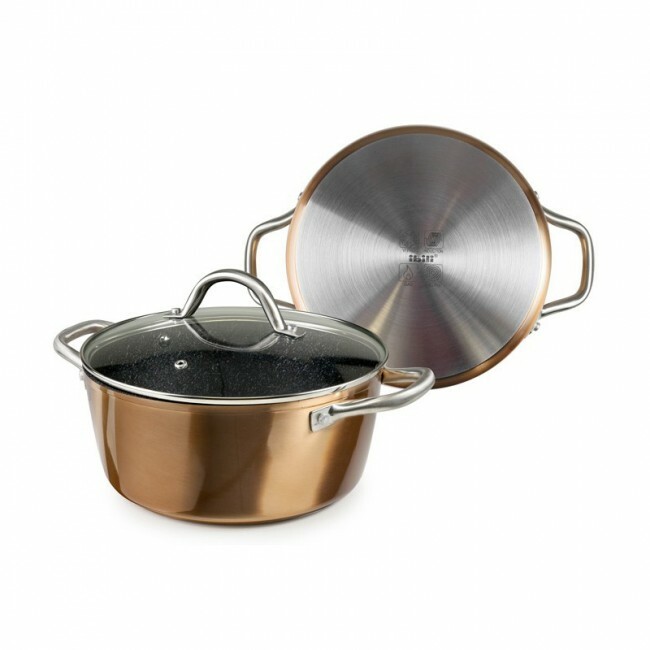 This Natura cooking pot from Ibili is what you need to prepare nice meals for your family. Its copper material allows you to better conserve heat and makes the kettle more resistant to heat. This pot is the cooking utensil you need! This Natura cooking pot from Ibili is what you need to prepare nice meals for your family. Its copper material allows you to better conserve heat and makes the kettle more resistant to heat. This pot is the cooking utensil you need!